FTG entertainment goes beyond basic TV channels and engages guests with relevant content including HD sports, news, and entertainment from around the world. 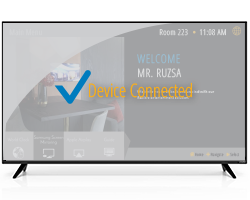 Blueport utilizes industry-standard encryption technology to deliver the highest quality picture and sound with scalable options to accommodate guest rooms, reception areas, outlets, meeting rooms and more. 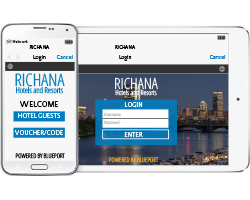 Our intuitive software helps users create an interactive guest experience to promote the property’s brand, amenities and services. Over 100 channels of HD programming with solutions for every size hotel. Technology that’s easy, flexible and compatible with most TVs. Property Management System interfaces available for folio review and in-room checkout. 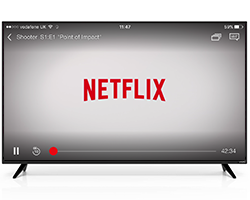 Guests can easily stream movies and shows from apps on their mobile devices to their in-room television.